- This car's original name should have been "SurfVolt". - This car's name is the reverse of "Tidal" + the reverse of "Van". 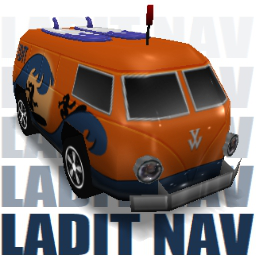 - This car is based on "Johnny Lightning surf rods VW Bus". - The logo in front of the van is by PaintHeart and it's called "VoltWagen" so, you can consider this a VoltWagen car :D.